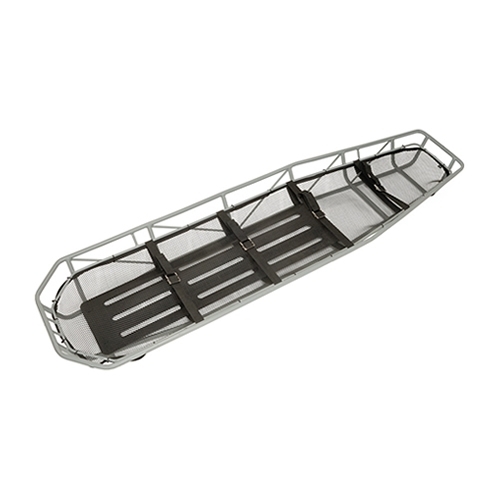 The Military Type II S.S. Plastisol Coated Basket Stretcher by Junkin Safety Appliance Company is both light in weight and size. It is constructed of lightweight 3/4” stainless steel tubing and has gray plastisol coating to make it rust proof. Comes without a leg divider. It also includes nylon web straps for securing the chest, abdomen, thigh and calf. Built to U.S. Military Spec. RR-L-1997 and MIL-L-37957. Junkin Model MIL-7767. Junkin's products usually ship in 1 to 2 weeks depending on availability. Please call us before ordering if you need to know a more accurate shipping date for this product.